superhero school. center for disruptive innovation. continuous learning zone. collective intelligence. live/work startup incubator. community center. hackerspace. makerlab. autonomous zone. permaculture and sustainable food production. cooperatively owned communications infrastructure. resilience. r&d lab. a place for creative troublemakers. I can imagine that these locations become networked, so information and resources can flow between them, and people then have a range of options around the world to come together around short or longer term innovation projects. Pepper it with some internal currencies for the network, and it becomes quite interesting. At any rate, now that I’m on the lookout for superhero schools & collaboratories, I’m seeing them pop up everywhere. 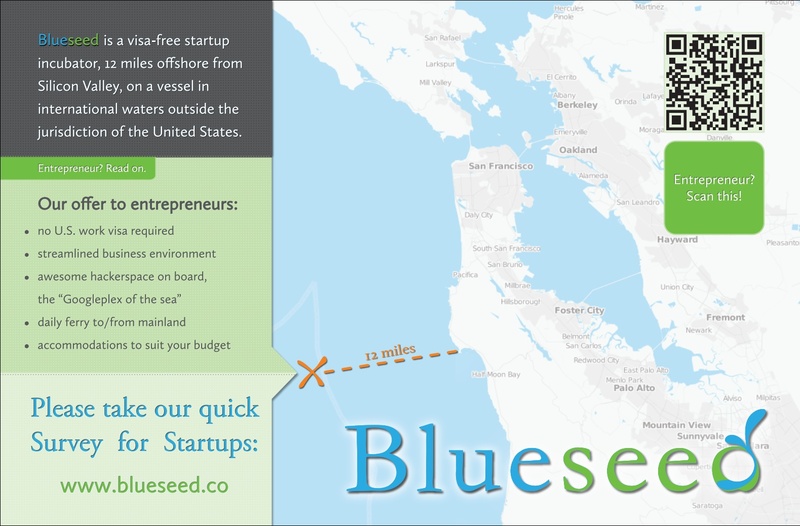 Just the other day, I saw this article on CNET – Peter Theil floats cash to floating tech incubator, and so discovered the Blueseed Project. 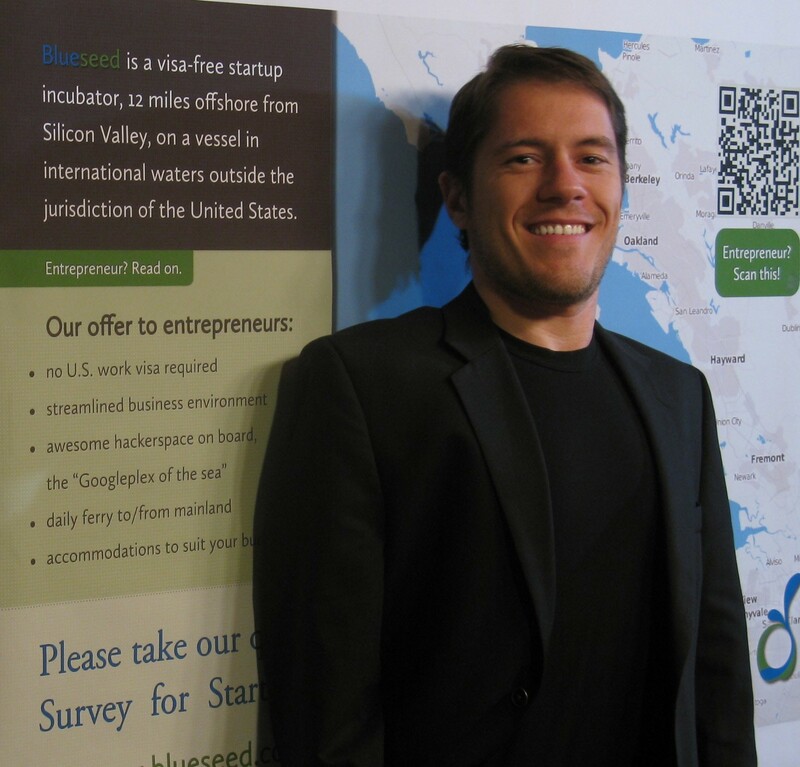 creating a high-tech visa-free entrepreneurship and technology incubator on an ocean vessel in international waters. Located 12 miles off the California coast from Silicon Valley, it hopes to attract top international entrepreneurs from around the world who want to work on their startups, while having access to the mentorship and funding that Silicon Valley provides. How long will residency be for entrepreneurs? Entrepreneurs are welcome to reside on Blueseed as long as they find that the environment helps them develop their concept and grow their venture. The environment will be extremely dynamic, given the very high concentration of talented individuals; unemployment will be probably measured in days: if you are competent but your startup tanked, the startup next door most likely will be looking for a new guy. This suggests that individual entrepreneurs are likely to either succeed with the startup they came with, or succeed with another startup, in effect making the answer to the duration of residency question “as long as they like”. If we’re talking about startups, then the answer would be “about a year”. There’s a study called The Startup Genome (visual.ly-zed here), which shows that startups at the phase most ripe for coming onboard Blueseed will have been working on their enterprise for 11 months on the average, and 14 months after that (25 months after starting), they will reach the “scaling” stage (17 employees, $3M in funds raise), and may find it more convenient to relocate on land. At that stage and level of funding, a startup has various avenues for locating on land; these avenues aren’t there for smaller startups, which is exactly the type that Blueseed will be most interesting for. Of course, we know that only 10% of startups succeed, but that figure has been empirically determined for conventional environments. In a place with 1,000 tech and business rockstars who have lunch together every day, and who have the attention of pretty much the whole VC world once we launch, we hope the 10% figure will be, so to speak, blown out of the water. Do you plan to offer workshops/events/guest speakers to supplement the work environment? Absolutely. We want to create an environment so compelling, that it will be called “The Googleplex of the Sea”. 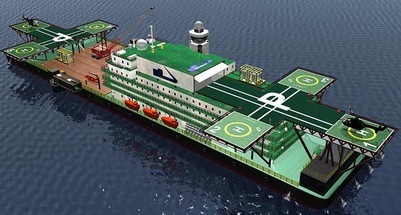 The vessels we are considering are equipped with gyms, cafeterias and coffee shops, entertainment facilities, saunas, helipads for emergency or convenient transportation, and one of them with a mini-soccer field. In addition to that, we’ll spark sufficient interest from speakers and event organizers to ask us to come onboard, and talks, conferences, presentations, workshops and other events will naturally occur with high frequency. We’ve already had job applications from event coordinators and musicians, and have only had significant press exposure since the end of October. Our goal is to make Blueseed a live-work-play environment interesting even for startups that don’t need any help with visas. This is already happening – about a fifth of the startups who filled in our survey for startups are based in the US. The closest model is YCombinator combined with the Plug and Play Tech Center and a Stanford or MIT dorm. We’ll be providing startups with standard incubator facilities (desk space, Internet connection etc.) and services (networking activities and links to strategic partners; assistance with marketing, accounting and legal issues (immigration, IP etc. ); help with access to funding (loans, angel investors and venture capital); training programs and access to education resources. Unlike betaworks, we won’t start companies per se, but companies will constantly start, shift, pivot and develop, and since we create the environment to make that happen, we could take credit for it. What is the vetting process for which startups get selected? As we’re participating in startup events and pitching to investors, we’re becoming more attuned with spotting successful startups. However, what we’ll most likely do is partner with professional angels and VCs, who will evaluate startups and connect the promising ones with capital and the resources they need for a head start. Is the ship mostly a work environment, and people go onshore for hanging out? 1. They don’t do work that earns income. Training sessions, networking events, recreational activities are perfectly OK to come for. 2. Within a year, they spend onshore at most 180 days. I’m personally very interested in the idea of creating self-sufficient autonomous zones. Have you thought about any type of installation on the ship for sustainable food production? What kind of cleantech energy systems are you considering so far? The environmental angle is very important to us, since we want to minimize our ecological footprint and be in full compliance with environmental regulations that apply to our area, regarding waste disposal and pollution. At the same time, we plan to take an incremental approach towards a more autonomous solution, since we don’t want to innovate on too many fronts at the same time. For this reason, we’ll start by using proven technologies, then gradually introduce novel solutions like membrane bioreactors or low-energy waste water cleanup systems (we met such a startup at the Greenovation conference in Boston, for instance). As for food growing, UNCLOS regulations give the US jurisdiction over the natural resources located in so-called “Exclusive Economic Zone”, which extends up to 200 nautical miles. This means that we need to determine exactly under what conditions and if aquaculture is permitted. Taken to the extreme interpretation of the law, the United States’ jurisdiction over the EEZ could mean that we won’t be allowed to use wind turbines, since wind is a natural resource. We’re working to ensure we are in full legal compliance. What is certain is that in the beginning, we will trade the value we create for the benefits of having a supply chain of food and water from the mainland. The model here is Singapore, a nation with very limited natural resources, which is nevertheless thriving. I read that your tentative launch date is Q3 2013. what are your next immediate action steps now? * vessel selection: we are considering leasing an accommodation barge, which would have the advantage of being already setup for IT work, but would be more expensive; vs. buying and retrofitting a used cruise ship, which would become an asset but would take more time to retrofit. * determining precisely the Internet access solution. We already have very good candidates, and need to work on a comprehensive, redundant, and high-speed (10Gbps) solution. * organizing a surprise event at some point in 2012, to test the waters. We can’t release details yet, but we have a major partner confirmed. Sounds very exciting! To find out more about the Blueseed Project, check out their website or follow updates on Twitter @BlueseedProject & AngelList. Wow, you hit the ball out of the park again. Great and doable ideas – networking the schools and centers for disruptive innovation sounds like you can do this right away. Libraries, Hackerspaces, betahaus, ven hubs…. And a ship as a safe retreat, off the busy paths of business. A decent vessel and a decent crew make it memorable. Big enough for the kind of games you are capable of? i love the picture of the house in beacon (looks amazing!) and it evokes a similar feeling to the one i have about a particular church i have spied in my neighborhood of fort greene in brooklyn, ny. interestingly enough, after several years of lying dormant, there is work now being done on it, although i have yet to find out who is doing it, and to what end. somehow, it feels like some sort of affirmation that energy is moving in that place which has come to symbolize this vision for me. cheers to continuing the conversation, and putting it into action! This post of yours together with one from Michelle James @CreatvEmergence and from Jane Hart @C4LPT (i) inspired a riff on competition, cooperation, collaboration, and cocreation. If we take these from their usual domain – working together – into a related domain – learning together, we get to collaboratory. A workable future of learning?